It wasn’t easy for us to make time to visit this little spot, but I couldn’t resist. 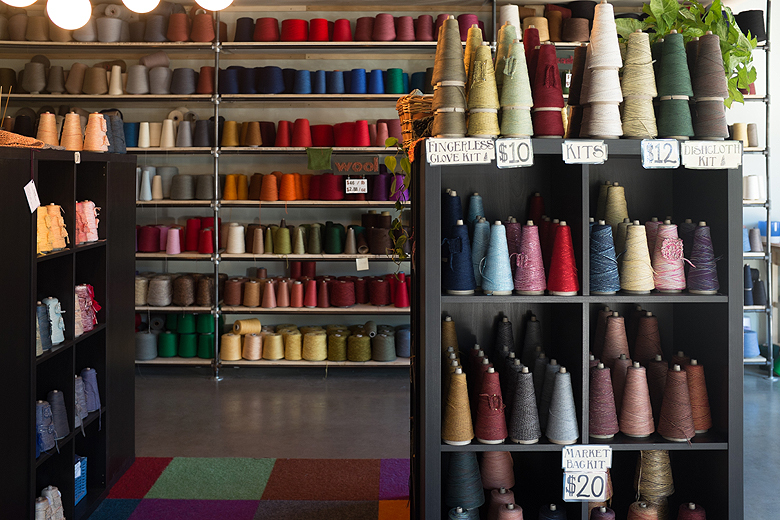 Yarnia is, to quote their website, “the only yarn shop where you can design your very own custom yarn blend, and buy it by the pound. 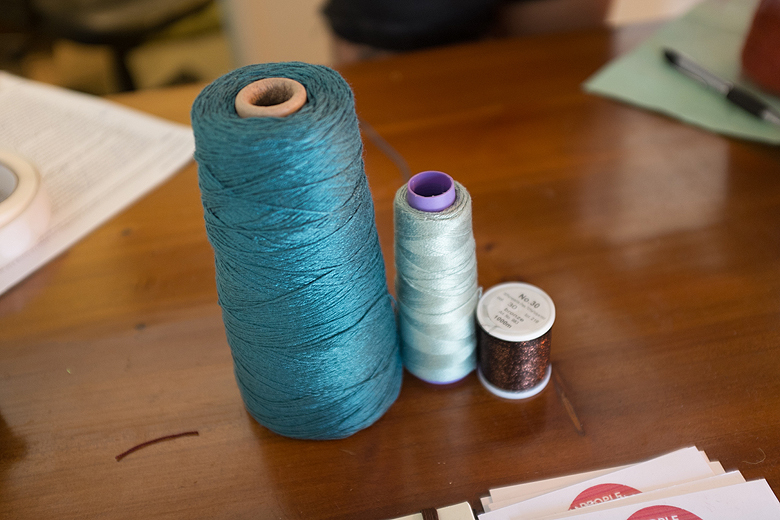 You choose the fiber, color, thickness, and amount, and we’ll create your custom yarn for you right on the spot”. The store is cute, and small, but the shelves are packed with options. 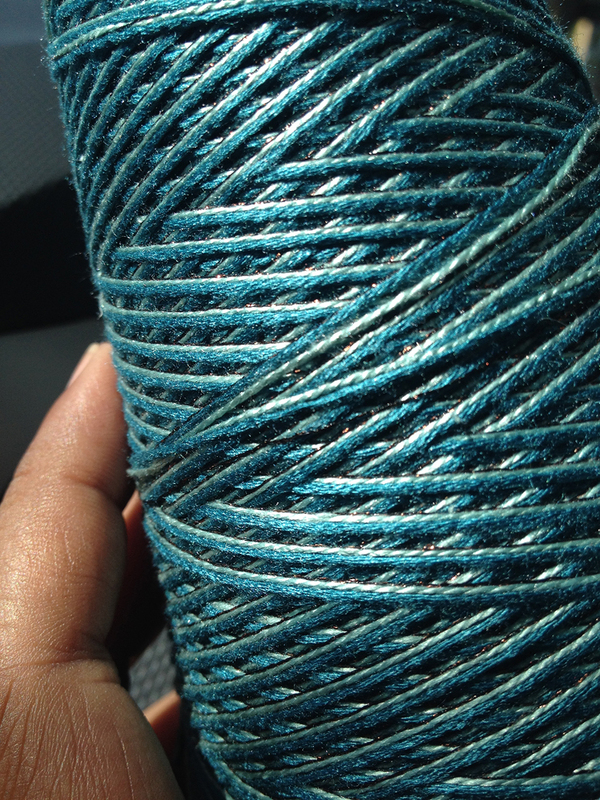 You can choose bamboo, merino, silk, alpaca and many, many more fibers. Don’t feel like designing your own? You can also choose from a variety of ‘house blends’ that have been pre-wound and swatched. I made a choice of a light turquoise bamboo, a darker turquoise merino, and a shiny chocolate coloured thread for added interest and detail. Once you’ve made your choice, they take you to a machine in the corner that will spin all of your choices together. While the results are very cool, one can’t help but ask oneself what the difference is between this and knitting from 3 balls (because your yarn is wound together, but not plied). The only answer I can think of is that it’s a lot less fiddly, and all your chosen yarns are wound to the same tension, making it easy to pull them off the cone together. If you’re in the Portland area and looking for something fun and different, I definitely recommend trying them out, here’s the website! 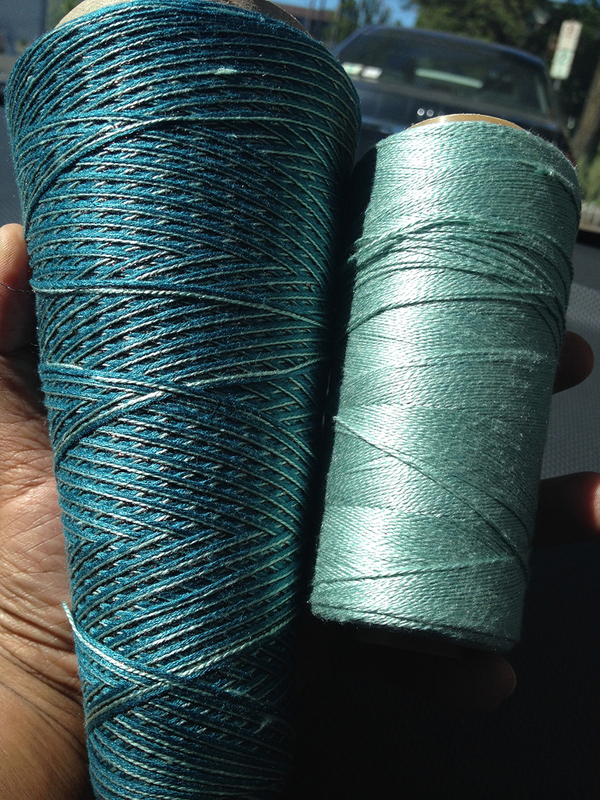 I also picked up a light turquoise merino silk to use as a weft, and the custom yarn will be my warp. 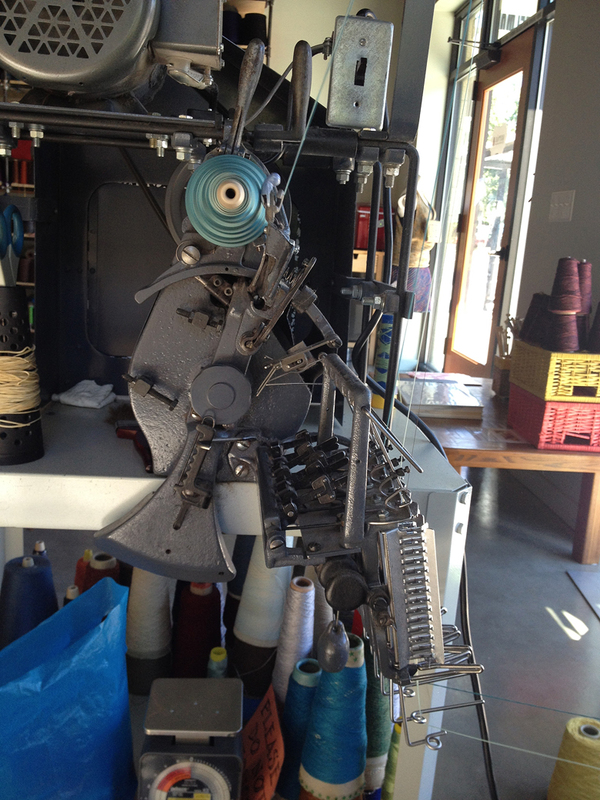 I’m hoping to combine this with my double heddle kit for some simple 1-3 twill – stay tuned for the results! 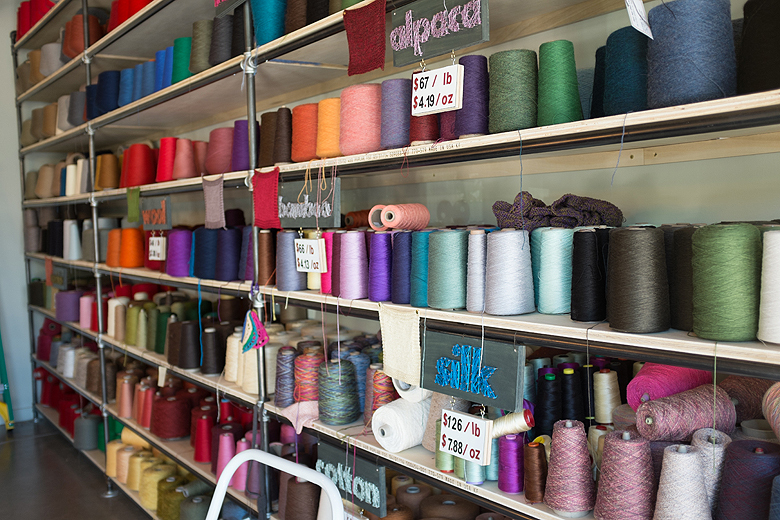 What a fabulous – and different – type of yarn store! 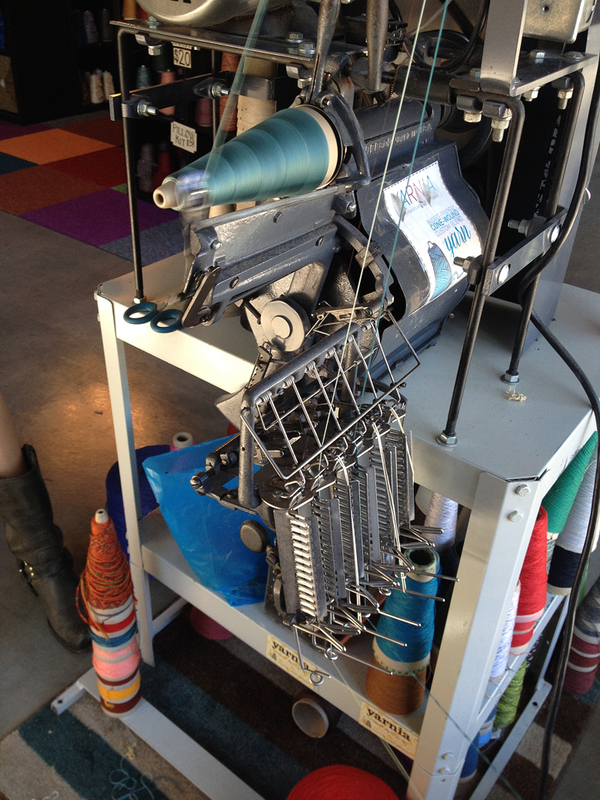 I’d be going nuts in there even though I’m not a weaver….but on a knitting machine – look out! Ooh, that sounds like fun! And I can certainly see the appeal of having it all pre-spun together, after trying to knit a shawl from both ends of the ball! So fiddly!